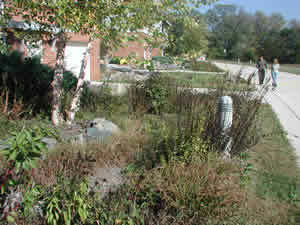 Storm water management practices after construction is complete. Some information may also be useful for redevelopment projects and industries considering the installation of on-site storm water management practices. View presentations prepared by DNR Runoff Management Section staff. On Tuesday, April 19, 2016, the DNR held an informational webinar to provide an overview of the wetland screening and delineation procedures (required June 1, 2016). On Monday, March 18, 2019, the DNR held an informational webinar to provide an overview of the electronic notice of termination submittal process available in the ePermitting system for Construction, Industrial, and WisDOT storm water permittees. On May 18, 2016, the DNR held an informational webinar on the technical standards associated with additive use in construction, industry, and agriculture. On October 22, 2015, the DNR held an informational webinar to provide an overview of the construction site Soil Loss and Sediment Discharge (USLE) guidance and associated calculation tool and documentation requirements in the application for permit coverage. Effective January 1, 2016, the results of soil loss and sediment discharge calculations must be documented in a summary report and included with the construction site storm water application. These PowerPoint presentations are from workshops held in 2006 in conjunction with the University of Wisconsin Extension and the Wisconsin Departments of Commerce and Transportation regarding erosion control/construction site technical standards. The links will open a new browser window. PowerPoint presentations are from workshops held in 2004 in conjunction with the University of Wisconsin Extension and the Wisconsin Department of Commerce and Transportation regarding post-construction site technical standards. View these archived web cast seminars on US EPA web sites for information on storm water pollution prevention plans for construction sites and post-construction storm water management on US EPA web sites. The web casts are available on-line, and some may also be downloaded as MP4 audio/video files. Exit the DNR web site to access these seminars and other information.